A dining table is just a table until it is given some style. 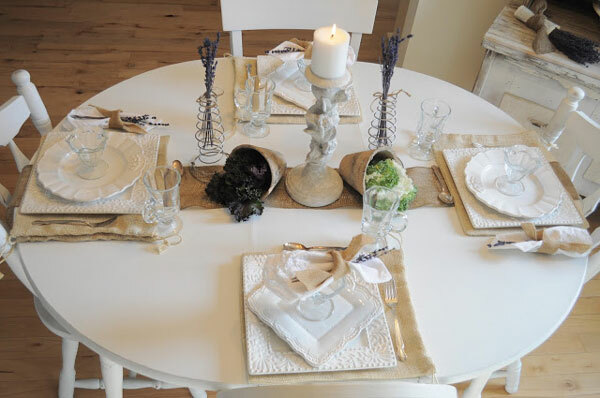 Adding a centerpiece or other decor to the table will help to accentuate the style that you are going for. 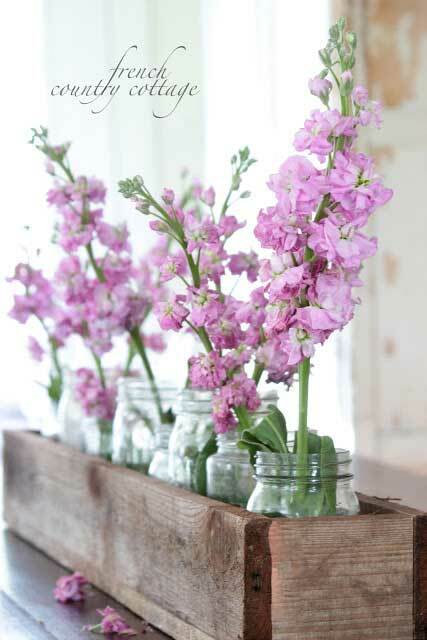 For a country or farmhouse style, these rustic table arrangements will provide some inspiration. All of the ideas are perfect for any time of the year and are made up of a variety of different elements. They range from industrial rustic to more natural rustic but all of them are chic and stylish. I have an industrial rustic centerpiece on our dining room table. 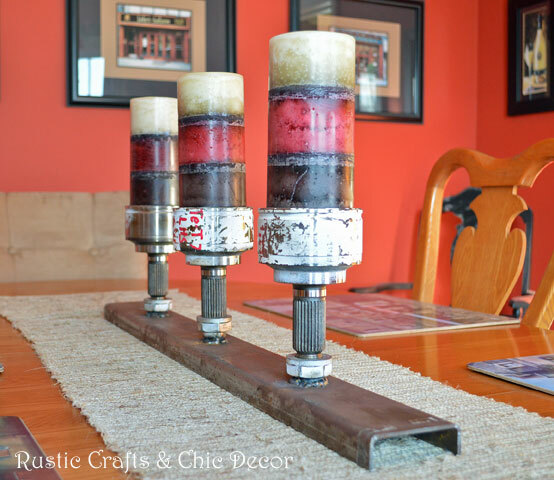 My husband welded together some salvaged metal to make a one of a kind candle holder. If you have a welder, think about what pieces can go together for a unique look. Old bed springs, burlap and clay pots make a rustic backdrop for flowers and candles that is an interesting and eye catching design. A large wooden bowl can be filled with a variety of different items for an ever changing focal point. 3. 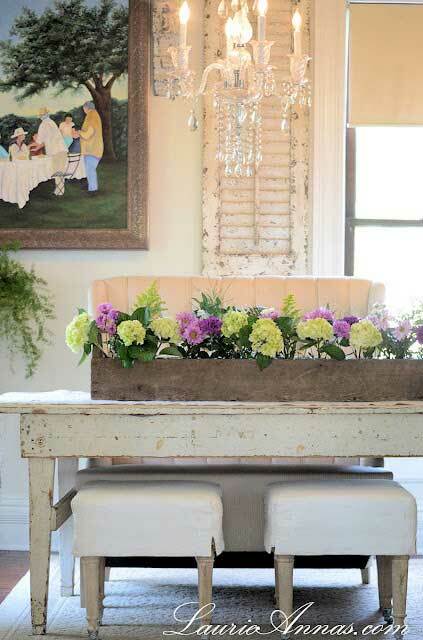 Crate and mason jar centerpiece idea by French Country Cottage. You can see more details on how to make this at my DIY Tray Table post. 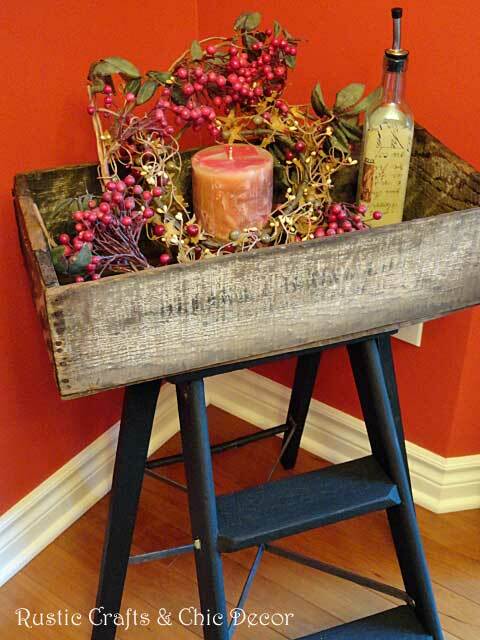 However, you can see how the crate could be used as a centerpiece. Here is yet another crate and mason jar centerpiece idea but with this one the mason jars are lower in height than the crate so they are hidden. And finally, a tin tub is another great container, for a centerpiece, that can be filled with different flowers or other items for a variety of looks.